Jun is a part time assistant director for a variety TV show that takes place in abandoned buildings and ruins. Today's episode features a massive former residential complex on Yagou Island, once a thriving coal mine settlement but now an abandoned island. Jun receives a video message on his phone from a bandaged man in a wheelchair claiming to be from the future. "Everyone is going to die." Yagou Island has a legend surrounding it. The locals say that the island is a forgotten land, an island that does not know time. And it is on this "Island of Time" that Jun and the rest of the crew have to avoid being killed, setting the scene for an unexpected murder mystery. After Japan was defeated in World War II, the people were filled with fear and despair about the future for their country and their families. Kataoka's oil company, which had been quite successful before the war, also faced an uncertain future. However, Kataoka was determined not to lose hope, and to inspire his employees that they could once again reach for greatness. 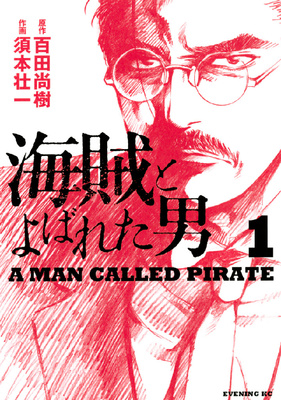 Kataoka's story is based on the history of the Idemitsu Kosan petroleum company and its founder, Idemitsu Sazo, and there are sections to explain the true history in between each chapter. After Yuko graduated from junior college, she ended up running a shop. Though her career is going well, she hasn't had time to work on her love life. One day, she's out drinking with her best friend Mikan, bemoaning her lack of a boyfriend for a Christmas date. When she trips and hurts her leg, Mikan asks her little brother Leo (an 18-year-old) to see Yuko home safely. When they arrive at her apartment, though, Yuko makes a move on him and they end up sleeping together. The next morning, she realizes that she not only slept with her best friend's little brother, she actually took his virginity! Leo isn't satisfied with it being a one-night stand, and they start having a completely sexual relationship. Will she be able to keep this from Mikan, and is it possible their relationship may grow to something more? Rio always wanted to be a model, but she was too shy to go to the audition alone. Instead, she took her sister Yui with her, and Yui is the one who became a popular model. Rio does her best to be proud of her little sister, and not be jealous about the situation. She even asks boys out for Yui, so that Yui won't be faced with potential rejection. One day, a pair of hot brothers, Sei and Kou, move into the neighborhood. Rio asks both of them out for Yui, but they both reject Yui through Rio. This dual rejection brings out clearly both Yui's selfishness and Rio's suppressed jealousy. What will happen next for Yui, Rio and their love lives? Kaizoku to Yobareta Otoko would be nice for people that have an interest in petroleum companies or in post-WWII Japan. The other two (Koneko-chan Kocchi ni Oide, and Peach Sisters) are conveniently themed for Valentine's week! 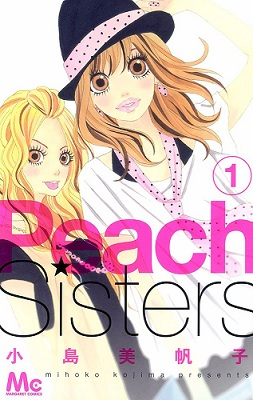 Koneko-chan is more focused towards adults with sexual relationships, while Peach Sisters seems focused towards innocent teenage romance. 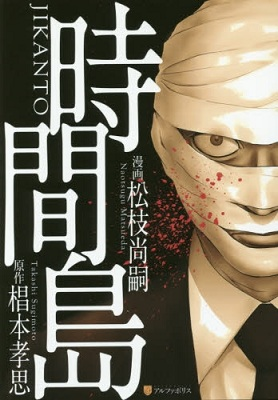 Jikantou's got an interesting premise and is quite big on the cliffhangers, and I think some parts inspired suspense and mystery quite well, but occasionally weak as well. I think people who like supernatural or mystery thrillers could dig into this. 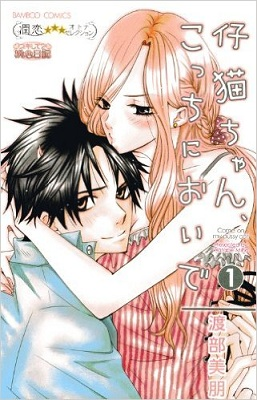 Koneko-chan, Kocchi ni Oide - If you want more romance in a more mature way in your life, which is perfect for Valentine's Day, then you should read this manga instead. If you haven't done so already, check out the scanlations of the manga from previous shout outs which have been recently scanlated: school life comedy Higashi no Kurume to Tonari no Meguru (MH link).